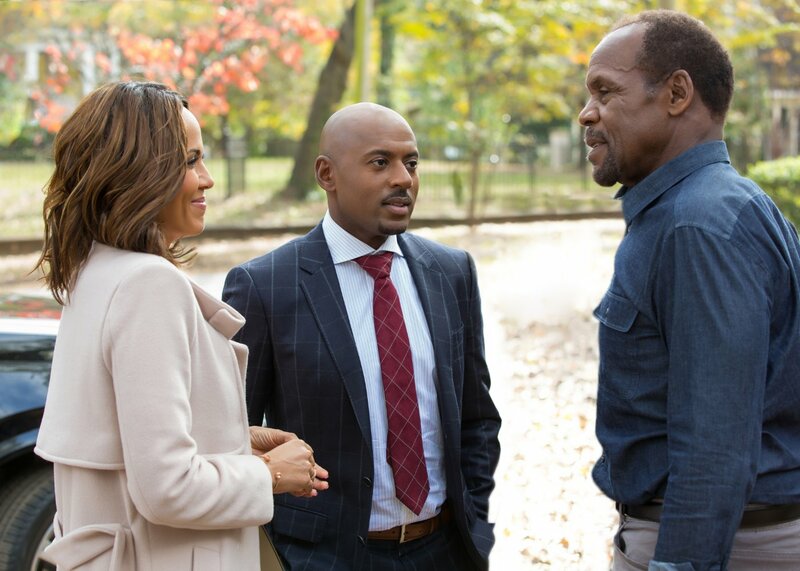 Like any given holiday film, Almost Christmas includes madcap humor and the drama of lost loved ones. Usually the two don’t gel. So it’s with great surprise that I can call this movie a sheer delight. There’s a lot of forced drama, but every point is necessary. There’s plenty of outlandish laughs and farcical setups, but they work and thrive because we come to know the family members first as individuals and then where their place is in the Christmas card portrait. 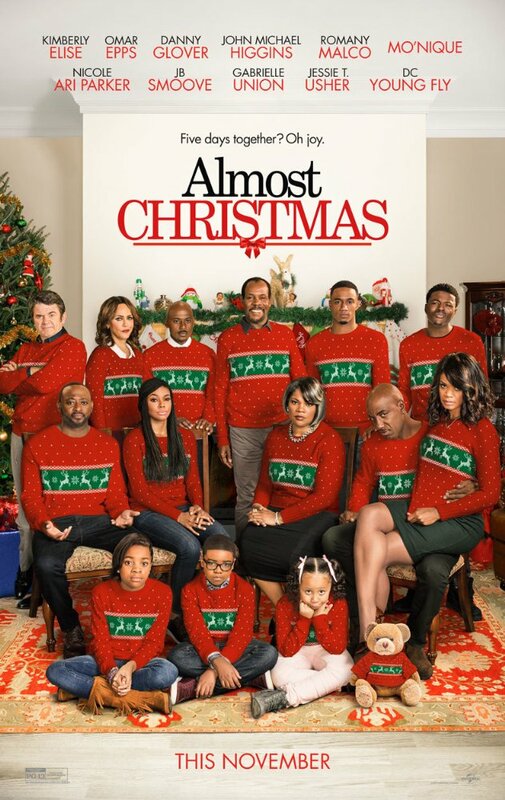 Almost Christmas fine-tunes its reliance on clichés, and boy do they hit close to home. You know the set up by now. A family that’s drifted apart has to endure five days together under one roof. Cheryl (Kimberly Elise) is the eldest daughter, unhappily married to Lonnie (J.B. Smoove). 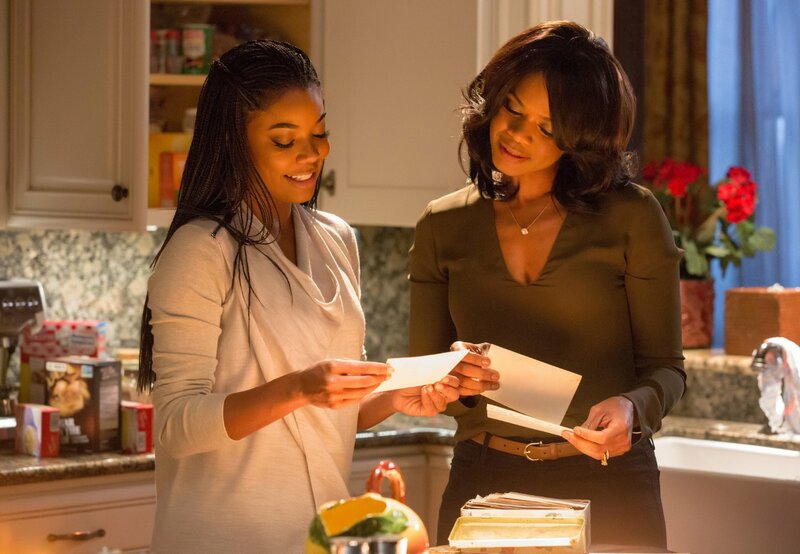 She quibbles with her sister Rachel (Gabrielle Union), a divorced mother of one struggling her way through law school, and who still might just have a crush on her boy next door high school sweetheart Malachi (Omar Epps). Then we have Christian (Romany Malco). His spouse is Sonya (Nicole Ari Parker), they have two kids, he’s running for Congress. Collegiate football superstar Evan (Jessie T. Usher) is the baby of the family, a mid 50’s pregnancy mistake who became an energetic blessing. With their outspoken diva Aunt May (Mo’Nique) crashing the party, we brace for impact. Walter (Danny Glover) wants joy and reconciliation; maybe he should have made his clan sign a contract, or even a peace treaty. Almost Christmas has a whole ton of plotlines and a few don’t get any sort of resolution. I don’t blame it either. Writer/director David E. Talbert has whipped up a potluck of dishes and serves us a full plate. You know, like the kind your Grandmother made sure you could barely hold? There’s no possible way to eat it all. But that’s not the point. The reason behind this “take some more” mentality is to make sure the ones we feed and we love aren’t left hungry. With food and in film – especially this typically schlocky subgenre – it’s better to be overstuffed than it is to be sparse. 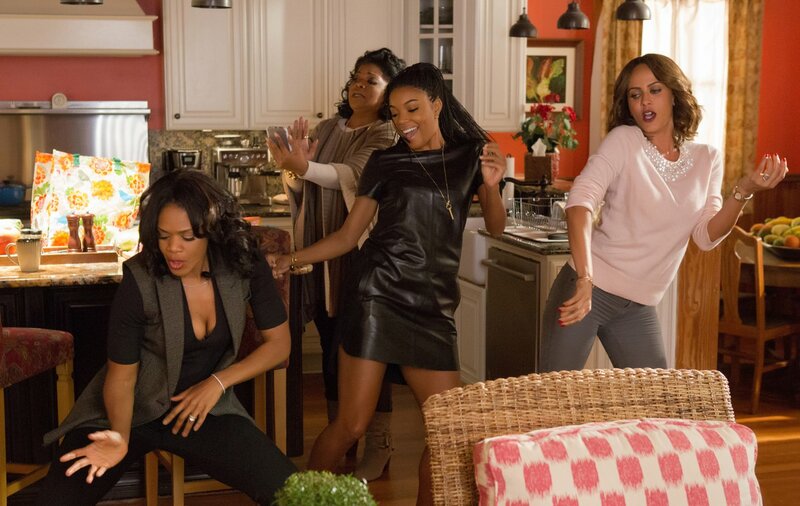 Talbert’s direction is about as basic as you can get, but with this wonderful cast (especially hilarious work from Mo’Nique and J.B. Smoove), we are filled with good, quality ingredients. The real reason behind the family’s instability is that their rock is missing. Walter spends his first widowed Christmas without his wife Grace. The kids their first without a Mother. And so, as anybody from a big family could attest, the film’s most integral scenes correctly take place in communal spaces. The foyer, the kitchen, around the dining room table. All places of Holy Ground that Grace once inhabited and now tends to from above. It’s remarkable, really, how the human mind can attach the human spirit to objects and places. We’ve all experienced it. That’s Mom’s stove. That’s Mom’s dish. That’s Mom’s recipe. Here, the biggest of all was Grace’s sweet potato pie. Walter can’t seem to make it the way she did. He tries, fails, tries again, fails again. So does this film. The comedy elements are energized, full of laughter and spirit. The missteps lead to stale bouts of drama. But it always swings back around. Almost Christmas will give you a good laugh and a good cry. Best thing of all? It earns those emotions, ending with a rich, savory bite full of memories.